We all love personal service. Imagine how your customers will feel if they could offer promotional products that talk to their consumers as individuals? Personalised Images is our service where you can put the individual recipient’s name or a company name within a picture and put it on a calendar, notepad or other promotional gift. 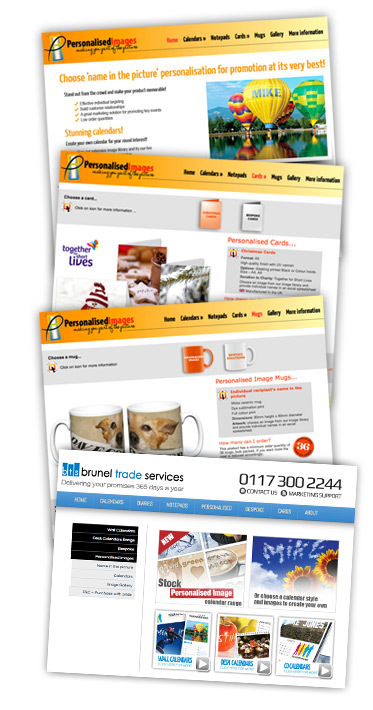 CHOOSE ‘NAME IN THE PICTURE’ PERSONALISATION FOR PROMOTION AT ITS VERY BEST! Stand out from the crowd and make your product memorable! For a unique advertising product, make it personal. Put each individual’s name in the picture. STUNNING CALENDARS FOR YEAR ROUND INTEREST! Create your own Personalised Images calendar. Choose a calendar style and format from our Personalised Images calendar range and add your choice of images to each date leaf. View the image gallery click here. To see our calendar range click here. To see our range of products and comprehensive image gallery, please see our website at www.personalisedimages.com. If you have images of your own, it may also be possible to incorporate these (subject to suitability. Fees apply). It’s quick and easy to create an effective marketing campaign! Advertising at its most effective. Individual targeting leading to high response rates.